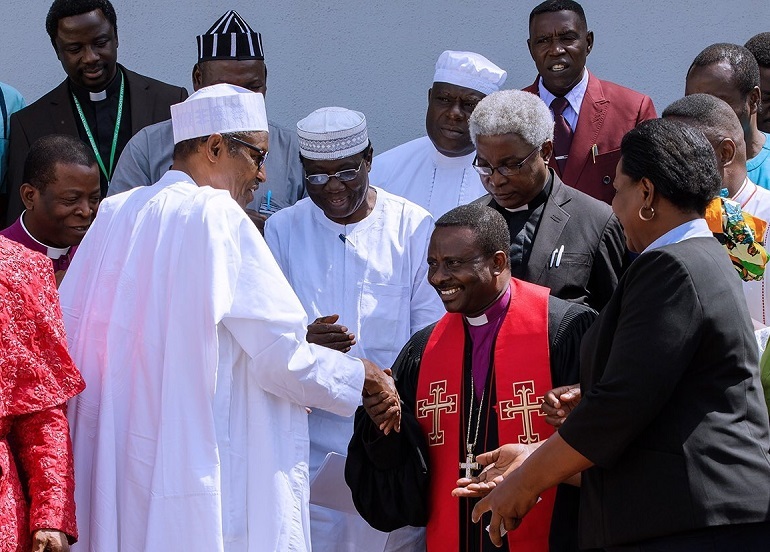 The Christian Association of Nigeria (CAN), the main umbrella organisation of the major Churches, has expressed concern to President Muhammadu Buhari over ongoing violence by Fulani herdsmen in the country’s Middle Belt states. It reported on the attacks and interviewed the victims. Throughout the course of the violence, 12 villages were attacked. In addition to the casualties, 489 homes were burned and 13,726 people displaced, it said. The victims identified the perpetrators as Fulani militants. On Friday (10 November), CAN President Samson Ayokunle met with Buhari for the first time since his election in 2015, and asked him why herdsmen who apparently carry out these killings are not arrested, The Cable reports. “Recently I went to a village called Ancha in Bassa Local Government [Area] of Plateau state, where 21 Christians were killed overnight by herdsmen,” he said. “My church in that village lost 20 members out of the 21 and we gave them a mass burial. It was a gory sight to behold. “The most painful and baffling thing about it was that after that attack, [the herdsmen] came to the same area again and killed another 24 people – with none of them arrested by the enforcement agents. What a complicity! Why are the herdsmen devastating communities without being arrested? Why are they not prosecuted? Why was the source of their ammunition not investigated? Why do they roam about with guns without being arrested? On Tuesday (7 November) nine Christians were shot dead by suspected Fulani herdsmen as they returned from a weekly village market. Four more were injured during the incident in the Riyom Local Government Area, which happened at around 7.30pm. The CAN leadership has been critical of Buhari, some accusing him of plotting to Islamise Nigeria, though the CAN President said he was “very humbled by the calm disposition of [Buhari],” according to Premium Times. He said such meetings “will always make people ready to offer help to the government”.